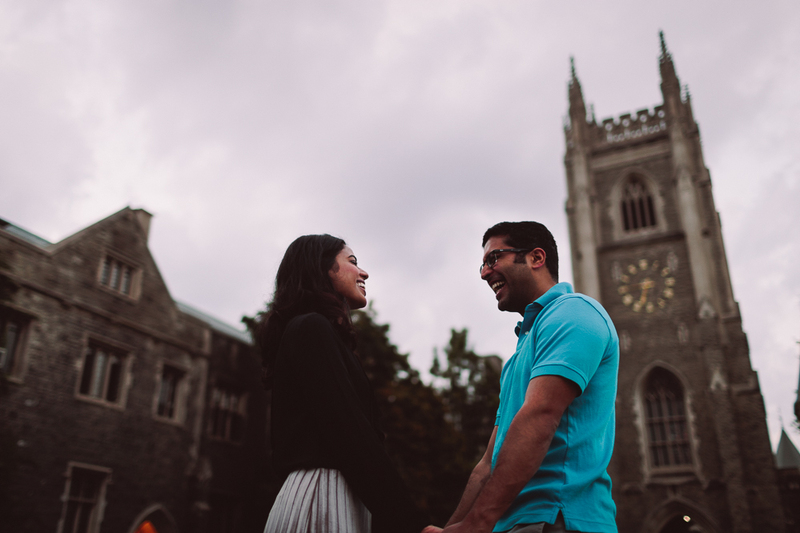 Shaarifa was born and raised in London, U.K.. She and Talha met in Toronto. 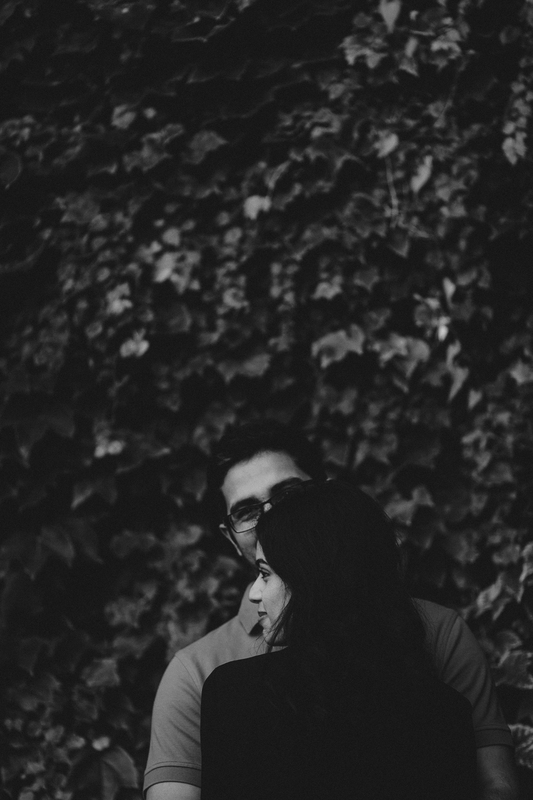 They're one of my many long distance couples. 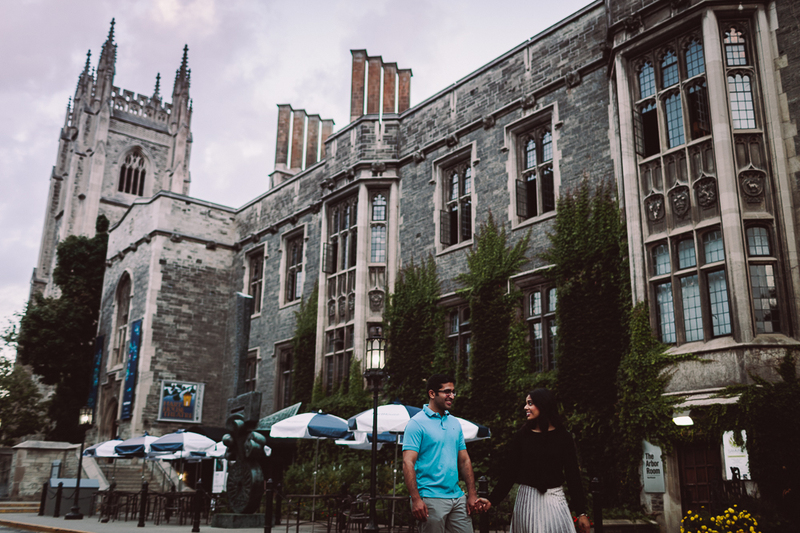 Shaarifa wanted an engagement location in Toronto that had a British flare, nineteenth century buildings that'd reminder her of British architectures. 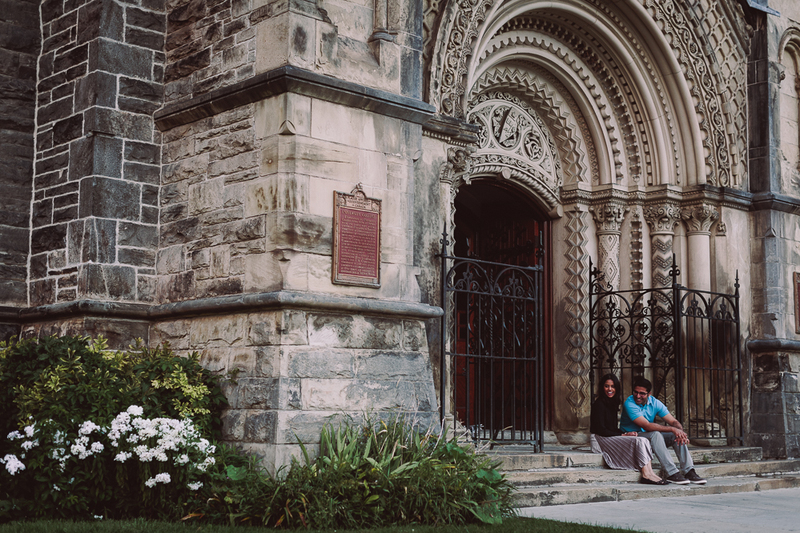 She had her eye on Hart House and University of Toronto's downtown campus during her regular visit in Toronto. These beautiful architectures brought her back to London U.K. where she chose to leave behind for her new page with Talha in Toronto. 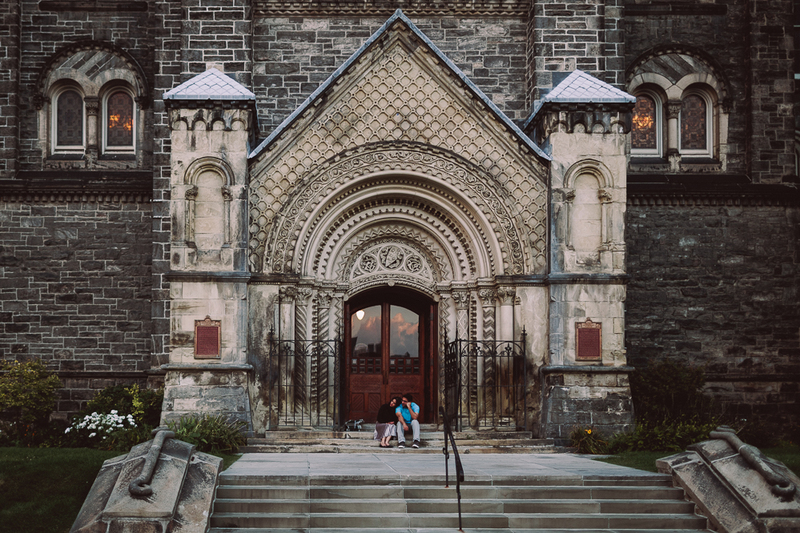 We had a sunrise engagement session at Hart House. The dusk colours made it looked like as it's romantic, cloudy day in London only with more stunning colours as the sun rose. For the entire time, Shaarifa and Talha couldn't stop smiling and chitchatting among themselves. 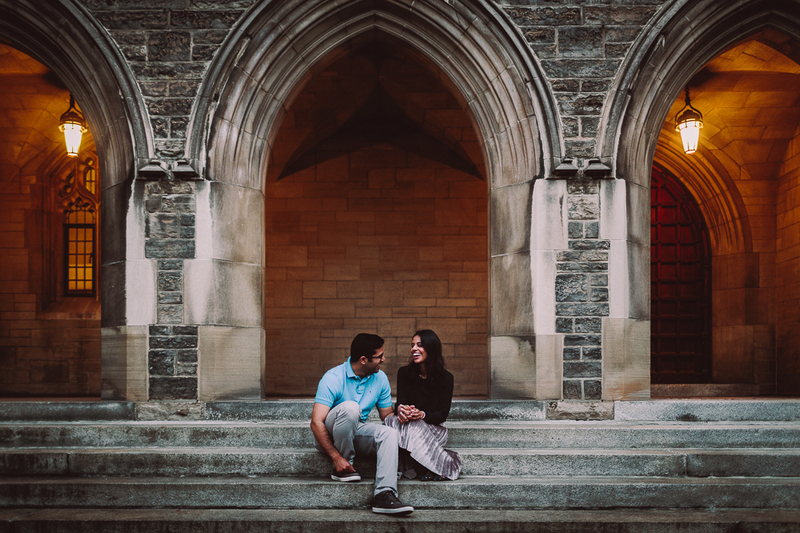 Their approachable personalities and love for each other was evident in every engagement photo. 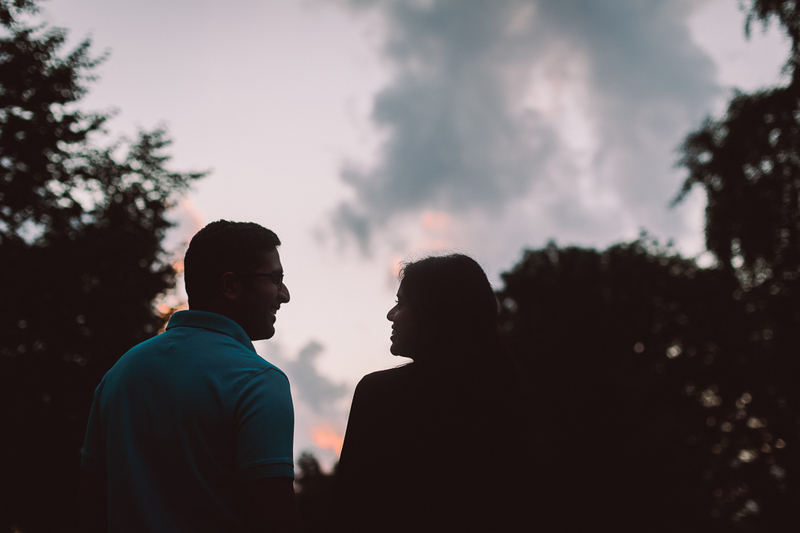 The physical distance between them had only strengthened their relationship over the years. Now they're ready to move forward to live a married life together, I wish them a lot of happiness. To Shaarifa, Toronto welcomes you.